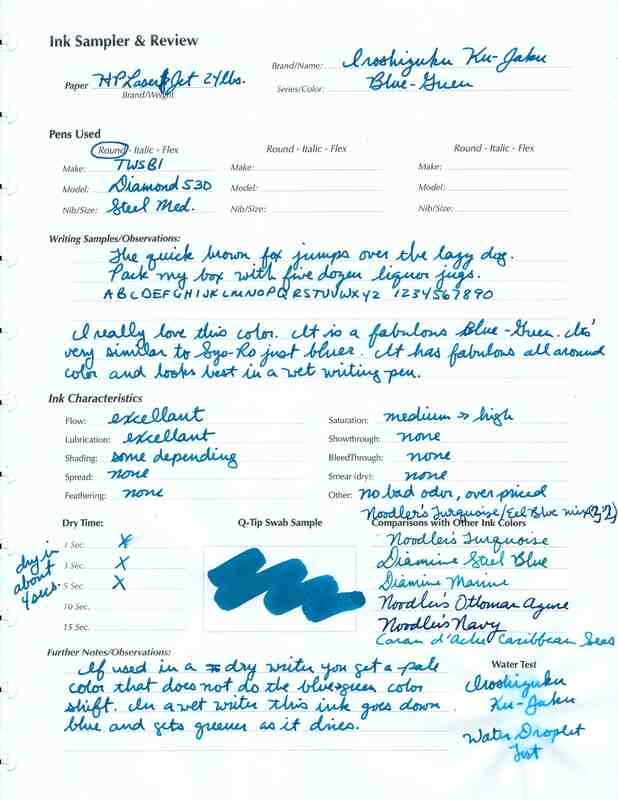 Iroshizuku Ku-Jaku vs. Noodler’s Turquoise/Eel Blue mix? 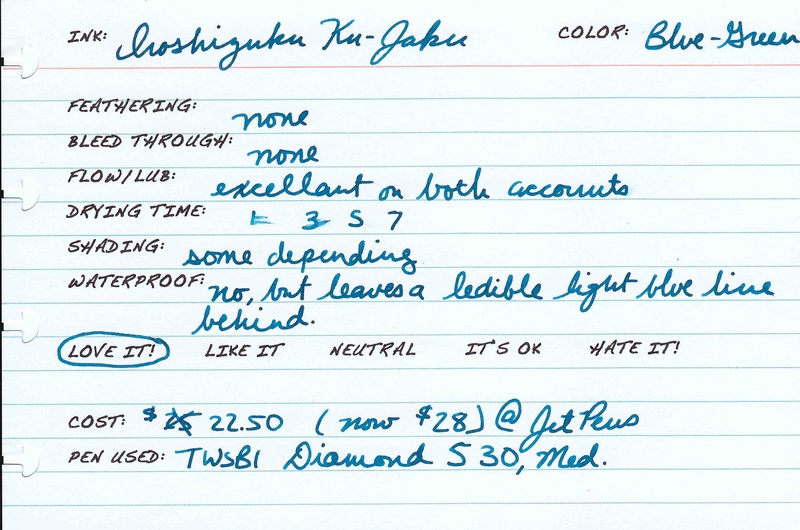 Ku-Jaku is easily my favorite of the Iroshizuku line. I wish I could offer you a ready-made substitute, but honestly I just can’t find one. This color is just that unique. Every turquoise I tried was either too green, too blue, too light or too dark. Then there is the issue of shading too much or too little. The closest sub was Noodler’s Turquoise (standard not eel), but it was too green. So I started to mix it with Eel Blue. 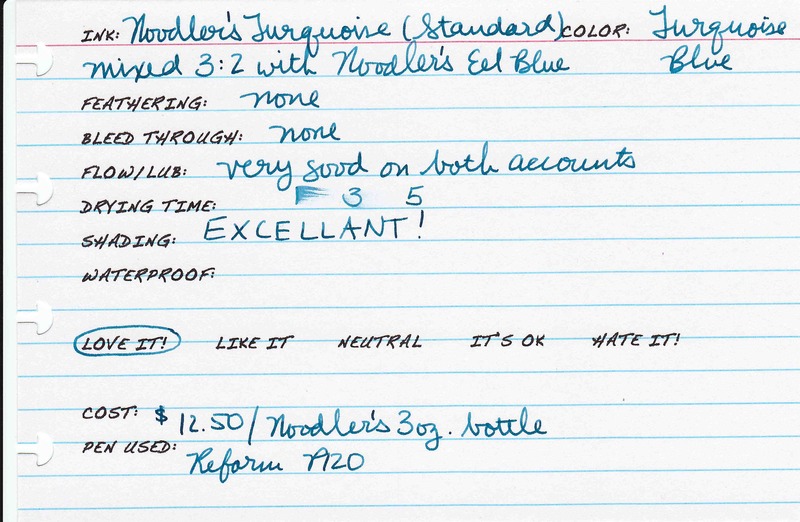 I finally came up with a good mix: Noodler’s Turquoise to Eel blue mixed 3:2. The resultant mix is just about exact in color except that the mix is just a hint more green than Ku-Jaku. Even though the color is nearly identical I am still not happy to call this a real substitute. There’s nothing wrong with it, but it just doesn’t have the Ku-Jaku feel (if you’ve ever used the ink you’ll know what I mean). I haven’t tried every blue-green there is. If you know of a better substitute please let me know. 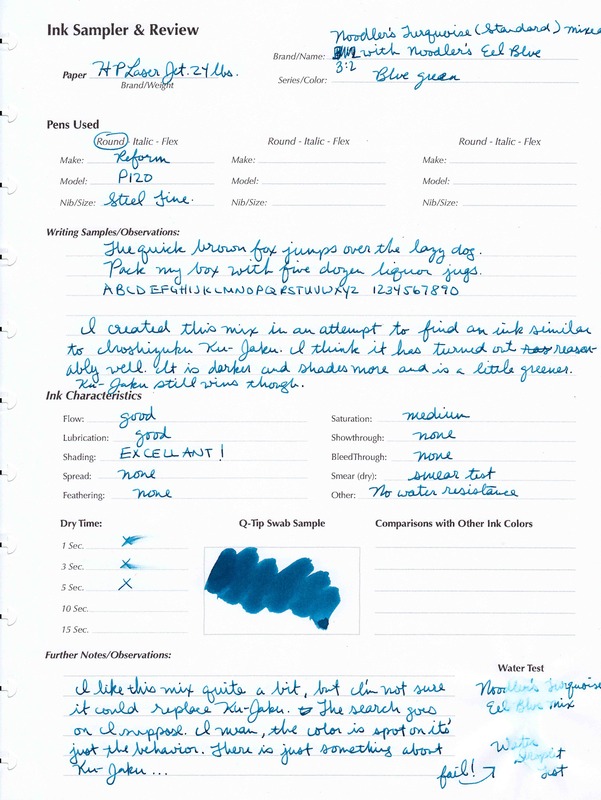 Have you tried Conway Stewart turquoise? 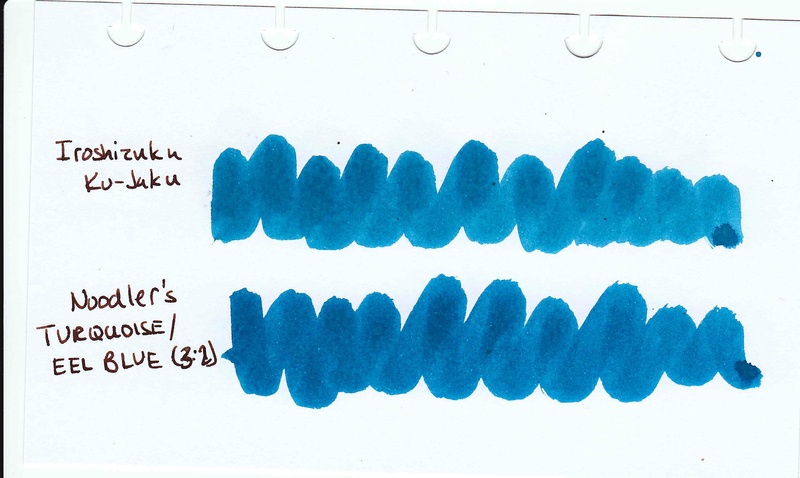 I haven’t used Iroshizuku Ku-Jaku or Noodler’s Turquoise/Eel Blue mix, so I don’t know for sure, but the sample images look similar to the Conway Steward turquoise. I know! I’ve been misspelling excellEnt since I was a little girl. I get it right only about 30% of the time. I know how it’s spelled, but my brain does it wrong nearly every time. It is one of those things I will continue to try to fix. Unfortunately, I’m also dyslexic, so I have one hell of a time proof reading. It all looks natural to me. Another thing I’ve always done is add “e” in very random places. I’ve been doing that since I was very young as well. There is no rhyme or reason to it. Occasionally, I’ll just slip an “e” in. I never notice it until it is far too late to fix it. LOL! Anyhow, thanks for reading my blog!